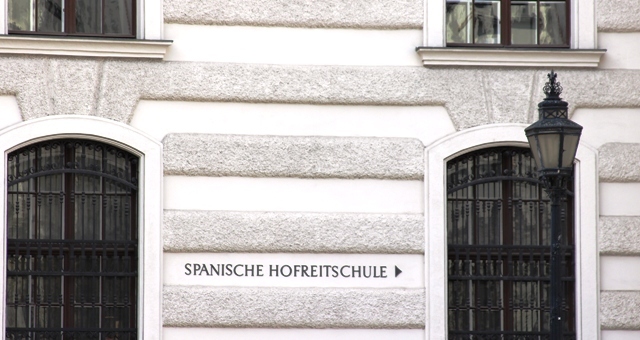 I discovered this when I found myself in Vienna’s 3rd district standing in front of one of the strangest buildings I had ever seen. “This is the Hundertwasser House,” my guide explained, waving expansively to include the entire higgledy-piggledy building plus the rooftop trees, “named after the local artist who designed it. It symbolises architecture in harmony with nature.” The lavishly coloured building looked a bit Alice-in-Wonderlandish to me with its spontaneous vegetation, trees growing out of some windows and undulating floors. Hundertwasser claimed an uneven floor is ‘a melody to the feet’. 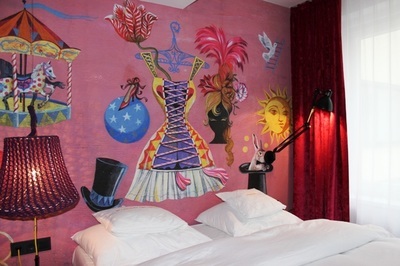 It was almost as idiosyncratic as my accommodation, the 25hours Hotel, a sheer explosion of colour and fanciful circus-themed rooms. It offers free bike rental and wifi for guests while its rooftop bar is a popular hangout for the trendy set. 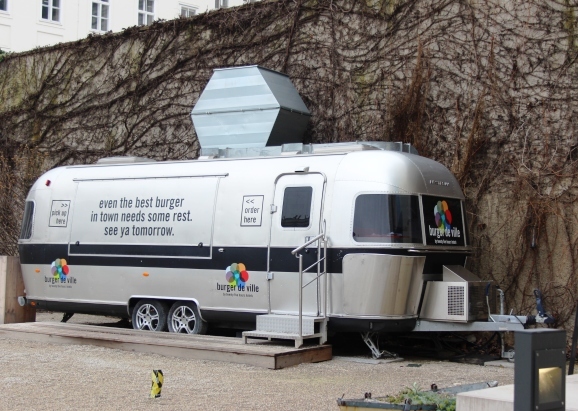 Some rooms have bath tubs on the balcony, others come with kitchenettes and Nespresso machines, there is even a seasonal food truck which serves burgers in the garden. No run-of-the-mill hotel this! ​Earlier that day I visited the Prater. Like many grand European parks, Vienna’s Prater started life as a carriage-riding area for the nobility. 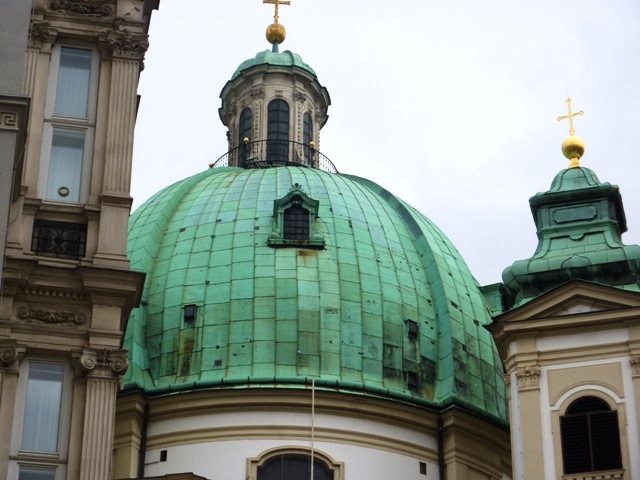 No wonder Those-And-Such-As-Those got cross with Emperor Joseph 11 when he decided on a whim to open it up to the hoi-polloi in the mid 1700s. Before you could say ‘schnitzel’ it was awash with freak shows, fortune telling machines and barrel organs. Of course these have all long since gone and the park is now popular with joggers, walkers and cyclists. 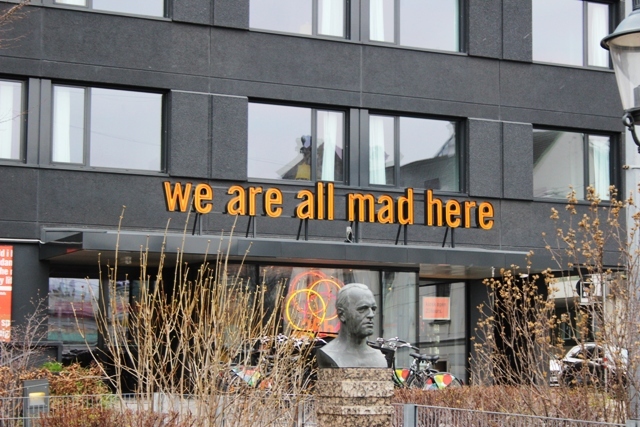 Besides its national football stadium, the main attraction is its year round fun fair best known for its Giant Ferris Wheel (Riesenrad) and the only one of its time still in use today. Erected in 1897 it towers over the city and if you don’t mind heights and want to let your hair down, you can follow Orson Welles example - as Harry Lime he starred in the visually stylish post-war film ‘The Third Man’ - and take a ride in one of its 15 ornate gondola-carriages, all big as garden sheds. Big enough, in fact, that they could probably hold an entire family including the in-laws. For those who want to hold a special event in the skies above Vienna, some are furnished with tables for catered dinners and parties. 1 Delve into the Natural History Museum. More than 5,000 objects are displayed including dinosaur skeletons, a giant topaz and a 29,500 year old statuette. 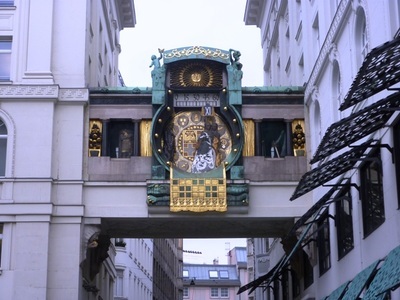 2 Check out the Anchor Clock, you’ll find it at the 'Hoher Markt'. It is adorned with musical ornaments which move across the bridge hourly culminating in a grand finale at noon when all the figures parade together. 3 Spend an evening at the Opera. You don’t have to don a ballgown or tux and can get a standing ticket for Euros 3 or 4. A box office on Operngasse opens around 60 minutes before performances, though if you want to nail a prime position then get there early. 4 Visit the Third Man Museum. Fans of the melancholy 1949 thriller will be bowled over by the collection of original film artifacts, signed photos of the film’s stars and the original zither on which the haunting theme tune was played. ​5 Have coffee and cake in one of the city’s legendary Kaffeehauser (coffee houses). Your coffee is brought to your table with a flourish and glass of cold tap water. 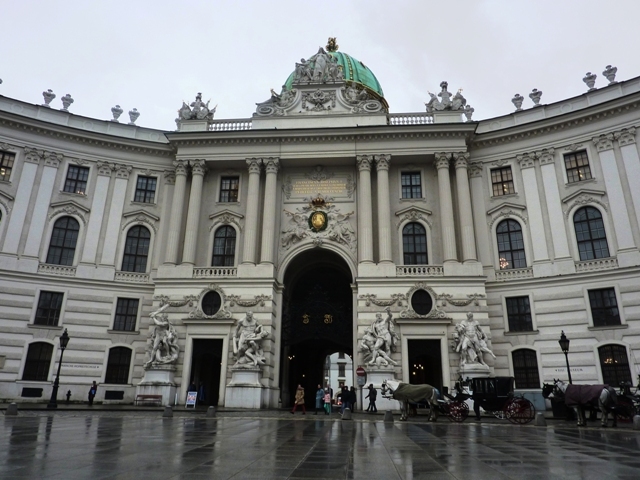 ​6 Make time to see the Hofburg Palace which contains the Imperial Apartments, Spanish Riding School and a museum devoted to Empress Elizabeth (known as ‘Sisi’). 7 Be like a local and have a bite to eat at one of the city’s Würstelstande (sausage stands). As the name suggests they dispense sausages, hot dogs, soft drinks and beer. 8 Plenty of puff is needed to climb the 343 steps to the top of St Stephen’s cathedral but it is worth the effort for the dazzling views when you get there. 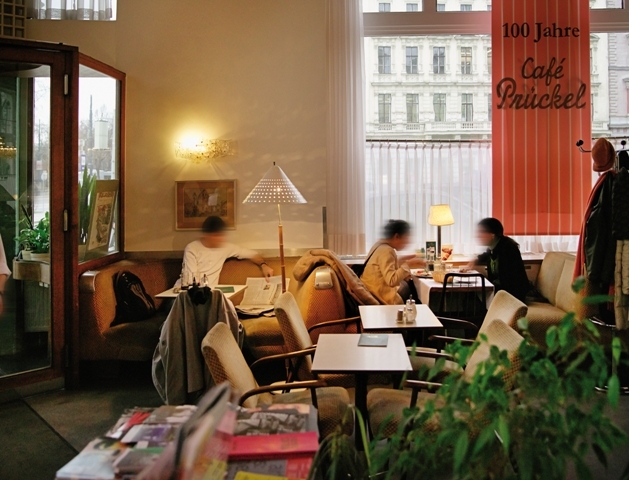 9 The Museumsquartier is home to the Leopold Museum, Kunsthalle Wien and Museum of Modern Art, MUMOK. 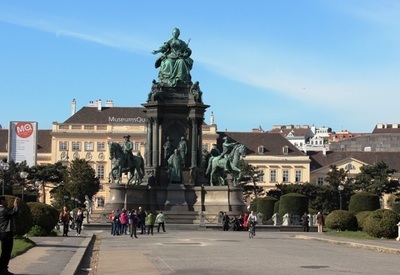 EasyJet (www.easyjet.co.uk) flies from Gatwick to Vienna prices from £90 return.